Oh my. That sounds unbelievably delicious. Thanks for writing a review that almost made me believe I was wearing–and smelling–it. Please let me know when your etsy shop is up and running. Your soaps look wonderful. I LOVE Laurie’s creativity …her fragrances seem to be dreamed up with me in mind. And I appreciate her high standard of quality…that’s my kind of perfume! I just happen to have a little sample of Songbird and dabbed a bit on just now — I love the vintage feel of it, and it diffuses beautifully off the skin. The spiced citrus is a real nose grabber! Laurie is one of my favorite perfumers as she perfectly captures the elegance and beauty of botanical perfumery. Isn’t the orange super juicy and enticing?! I love it. 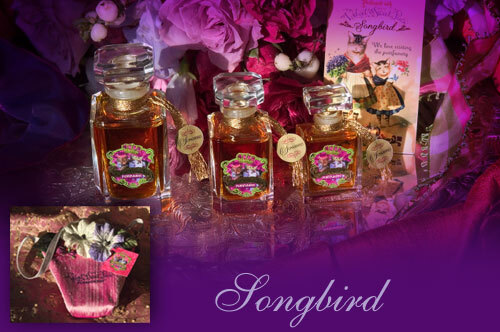 I agree there’s a lovely vintage feel to Songbird, but in a sensual way. I told her I wish I had a million dollars, I want all her perfumes. They are soft, heady and made with the care the earth and creatures deserve. My Fir-Ever Young is almost gone, I only have a couple mls left of my dark green gem, I must get more for the winter! I also wish with all my being that I could get a hold of Honey, that stuff is decadent and rich and smells like sin! In the best and greatest way of course! ha. 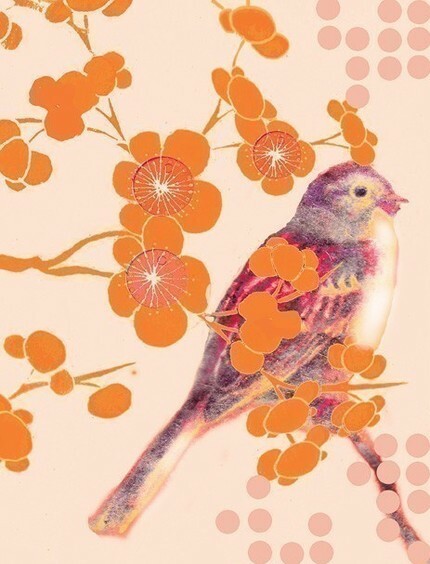 Thank you so much Trish for your beautiful thoughts on “Songbird”! I’m honored that you even have your own name for it too! Lovely. The songbirds were singing madly outside my window during the months that I worked on it and I was listening to a lot of Emmylou Harris and Lucinda Williams, especially to Lucinda’s “Essence” song. “Songbird” is my favorite, and the one I wear most of the time, it always makes me feel great, and I love the richness of the first hit all the way to the drydown. And thanks deeply for the sweet comments! You are so welcome Laurie! I am so glad you approve of my nickname for your gorgeous creation! This is a beautiful review. This sounds like a very interesting fragrance. I haven’t found a boronia fragrance to love even though I love their essence “in the wild” (botanical gardens). The dry-down of Songbird sounds very intriguing. Thanks V, it’s a beautiful fragrance. If you ever find yourself in PDX please let me know, we’ll have a sniff-a-thon! I wish I knew what boronia was. This post is a reminder to explore V&S’s sumptuous looking creations. Looking at her website, it’s obvious the perfumer’s a virtuoso. I adore the “vintage” packaging and the descriptions!